The Fokker F.22 PH-AJR in KLM colours. The first F.22, SE-ABA, used by A B Aerotransport, had minor differences from the KLM version. 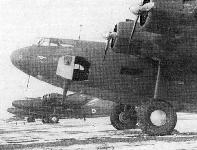 The last of the four-engined Fokkers, F.22 G-AFZP, at Prestwick in 1946. The Fokker F.22 G-AFZP at Prestwick in 1940, after modification while in service with No 12 EFTS operated by Scottish Aviation. Most noticeable modification is the extension of window area in the cabin. Compasses for use by the student navigators can be seen within the cabin, and the unusual style of fin flash is well shown in this picture. This line-up at Prestwick in December 1939 shows the two F.22s and (distinguished by its three-bladed propellers, nearest the camera) the sole F.36. The largest Fokker built in Holland, the F.36 PH-AJA, photographed in its original colours for KLM. 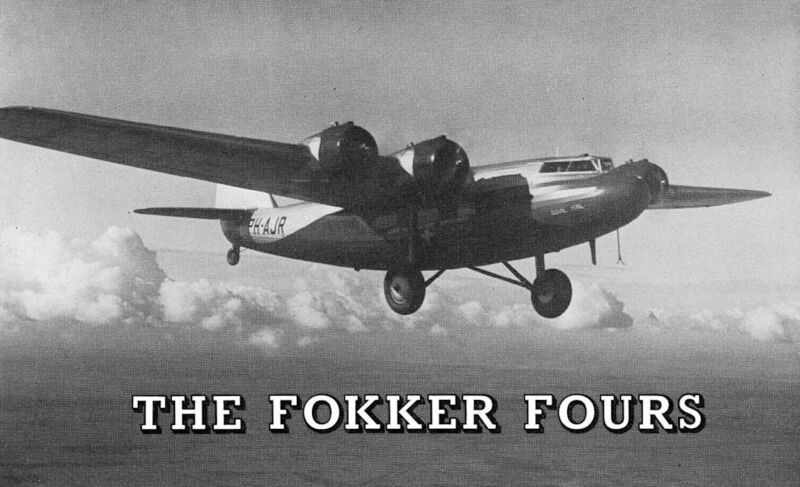 The Fokker F.22 in the form in which it was delivered to AR Aerotransport.